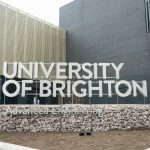 The University of Brighton is recognised by the UK’s Advanced Propulsion Centre (APC) as the National Centre of Excellence for Internal Combustion Engine Thermal Efficiency. 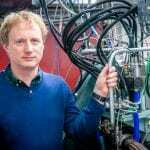 Study with internationally renowned researchers and benefit from strong links with organisations at the forefront of engine technology innovation on this integrated course. Our Automotive Engineering MEng gives you the opportunity to study at in-depth masters level, extending your technical understanding, knowledge of business, and developing management and leadership skills. Designed with input from industry experts and accrediting bodies, this course provides a solid foundation in mechanical engineering and builds your automotive knowledge. 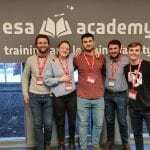 You will learn with a team with an international reputation for automotive research, and undertake projects contributing to this research. You will work in interdisciplinary teams on design and engineering projects and have the chance to join the Formula Student team, developing your teamwork, project management, presentation and communication skills. In your first year, lecturers will introduce you to mechanical engineering in an engaging and exciting way. You will also will apply topics including mathematics, conceptual design, manufacturing and automotive systems to your own design project. Beyond this, you will study subjects directly related to automotive engineering and be given the opportunity to specialise in your final year. After your second year, you have the option to spend time in industry or study abroad for a year. This is an opportunity to enhance your CV. In your final two years, you will have the opportunity to consolidate your knowledge and showcase your skills. 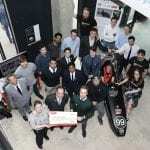 Through a shared first year with our mechanical and aeronautical engineering courses. You will begin to focus more specifically on automotive engineering. Our students have been on placement with companies such as BMW Mini, Cummins and Ricardo UK Ltd.
Areas of study include: control systems for automotive applications, vehicle design and management, automotive power train and sensor technology. At this higher level you will undertake a business-focused topic and a major, industry-related team project with peers from across engineering disciplines. On successful completion of this course you will have the qualifications to become a Chartered Engineer. The management and business training you receive on an MEng is a recognised route into management positions early in your career. Our graduates are working in companies including Jaguar Land Rover Ltd, Ricardo UK Ltd, and MAHLE Powertrain Ltd.
30 points, with three subjects at Higher level which must include grade 5 in maths and physics. The fees listed here are for full-time courses beginning in the academic year 2014-15. Further tuition fees are payable for each subsequent year of study and may be subject to small increases, in line with inflation. The tuition fee you have to pay depends on a number of factors including the kind of course you take, and whether you study full- or part-time. If you are studying part-time you will normally be charged on a pro rata basis depending on the number of modules you take. When costs such as health or criminal record checks, field trips or use of specialist materials are incurred as a mandatory requirement of the course they are included in your tuition fee. You may incur additional costs depending on the optional modules or activities you choose. The cost of optional activities is not included in your tuition fee and you will need to meet this cost in addition to your fees. Before you apply please check with the school that provides your course using the contact details on the left of this page for advice about what is included and what optional costs you could face so you can budget accordingly.